Accident At Work Claims Guide – Much Compensation Can I Claim? – 2019-Update – How To Claim? If you have been injured after an accident at work and you want to claim compensation for your injuries and loss of earnings. We can calculate and tell you how much compensation you can claim for your accident at work you could receive. It is very important that employers ensure that when they are employing staff that the work place is safe and secure and at no point should levels of safety be less than what is required. Work places can be hazardous places especially if health and safety procedures are not carried out correctly and constantly updated. Unfortunately accidents in the work place do happen and some are just accidents that could have not been prevented and no one is at fault. However employers can be negligent and held responsible if the work place is not safe to work in and they have not followed all health and safety procedures, doing risk tests and assessments where necessary. How Much Compensation Will I Receive for an Accident at Work Compensation Claim? How do I make an Accident at Work Compensation Claim? How long do I have to Make a Claim for a Work Place Accident? What can you claim for, for an Accident at Work Compensation Claim? Why Choose Our Specialist Work Accident Claims Service? This guide will let you know information on how to make a workplace accident claim against your employer and also explain the options you have. It also gives advice on what is the best way to fund your claim through the No Win No Fee agreement and most important how to get professional free legal advice from a work accident solicitor. “How much compensation for an accident at work” has to be one of the most popular questions that a solicitor is asked when it comes to accident at work claims. Matter of fact it is probably the most common question in regards to all personal injury cases. Specifically for accidents at work it has to be one of the most difficult questions to be able to answer especially in the initial stages of the claim. This is for many reasons. No two accidents at work cases along with any other personal injury cases are ever exactly the same, injuries may on paper seem similar but in reality people’s pain & suffering can be entirely different plus any prognosis that is forecast by the medical expert cannot be known when a claim is first being pursued. It is not until all medical evidence has been obtained that a realistic estimation be given. When calculating a personal injury claim or an accident at work claim as we are discussing here there are two main parts that are considered, general damages and special damages. We can use the guidelines set out by the Judicial Studies Board (JSB) when calculating how much compensation should be awarded for general damages, the actual injury itself and the pain & suffering it has caused, so on this basis giving an estimation for the compensation that will likely be awarded is a little more straight forward. However when it comes to estimating the amount of compensation that is to be awarded in regards to special damages i.e. financial expenses and loses, this is more difficult especially at the very beginning of any personal injury case as it may not be possible to future forecast any expense losses, loss of earning and medical expenses without completely evaluating a case. For this reason it can be problematic giving a claimant a truly accurate estimation of the claim amount. Use our work accident claims compensation calculator to see what you will receive or give us a call. Even looking back at similar cases would not give an estimate of how much compensation is likely to be awarded in a work place accident as special damages are likely to be different in each case. Check out our accident at work claim calculator. 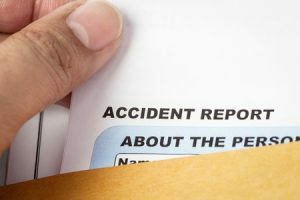 Starting an Accident at Work compensation claim could not be more straight forward if you opt to use a good reputable law firm that has expertise in the personal injury sector. We have personal injury solicitors who have years of experience dealing with the most complicated cases of employees who have had accidents at work. Any work that is required for your case such as gathering evidence, medical reports, examinations reports, filling out any paper work etc is all done by our legal team so that you can have as much time as needed to be able to return to your normal self. We are fully aware that accidents at work can be of a very serious nature and we feel that if you have entrusted us with your case that you should receive a hassle free service with a promise that we will take care of the whole case from start to finish in the most appropriate professional manner. At no point are you at any financial risk as you will be covered by a conditional fee agreement which is otherwise known as No Win No Fee. We offer a free legal consultation which is absolutely confidential allowing you to have your case accessed before committing yourself to any legal contract so that you are aware of the merits of your case before any proceedings start. Choosing the law firm or solicitor in which you would like to represent you is probably the most difficult part, once you are happy with your representation the hard work is over. Personal information i.e. name, address, DOB etc. Injury or illness information, what injury you sustained or how your illness was caused. Incident circumstances or how the workplace has resulted in your ill health. Who you work for/defendant details. Medical information i.e. if you attended your GP surgery or local hospital. Loss of earnings – if you had to take time off work as a result of the incident. Incident details – time and location. Why you feel that your work place is liable for your injury or illness. According to statistics reported by the Health and Safety Executive HSE in 2013 a massive 1.1 million people who had been working the previous year stated illnesses or injuries suffered was due to or made worse by the working conditions or incidents that took place in the work place. There were 148 fatalities caused by work place accidents. According to RIDDOR, which is the Reporting of Injuries, Diseases and Dangerous Occurrences Regulations 2013, 782222 injuries to employees were reported in 2013 the latest figures leading to a whopping 27 millions days took as sick days which on average was 17 days taken per case of injury or illness. It is required by law that accidents and ill health that are caused by work place incidents or work conditions should be reported and recorded under the Reporting of Injuries, Diseases and Dangerous Occurrences Regulations 2013 (RIDDOR). Not all incidents and injuries have to be reported but employers must record all incidents in an accident book and report the specific work place incidents under the RIDDOR 2013. Such reporting and recording on work place incidents are required so the authorities such and the Health and Safety Executive HSE and Environmental Health can carry out appropriate risk assessments to secure the safety of other employees. The HSE and local Environmental Health are there in case serious accidents happen at the work places so that investigations can be made. Without such authorities work places may not be as safe as they are, such enforcing authorities are there for both employees and employers to offer help, advice and guidance to making work places and environments much safer and secure places to work. When serious accidents or illnesses occur due to poor unsafe and negligent work places the Health and Safety Executive along with local Environmental Health can ensure that evidence is gathered from such situations in order to pass through new up to date legislation to protect employees at the work place. There are many different accidents that can happen at a work place. Employers are only liable and held responsible if such accidents can be prevented. According to statistics published by the Health and Safety Executive HSE more than half of non fatal accidents that have happened in the work place have been due to handling and slips and trips at work. Employees who are injured in this way usually need to take more than seven days off work which is usually represented by those injured due to handling and lifting. However since new measures were introduced known as RIDDOR handling is no longer the overall biggest category for accidents in the work place. Fractured to major parts of the body. Head injury, loss of consciousness, asphyxia. Any other injury that required hospitalisation. Cramps to hand and arms. Dermatitis caused due to the nature of the employment. Asthma caused due to working conditions. Cancer caused by working conditions. Any other diseases caused by working conditions. Vehicle accidents while at work. Being injured or struck by an object. How Long do I have to Make a Claim for a WorkPlace Accident? With the majority of personal injury cases and accident at work compensation claims there is a clear time limit of 3 years. If the claimant is suffering from any type of mental health they have three years from when they make a clinical recovery in order to start their claim. If the claimant at the time of the incident in question is suffering from a mental illness their three year limitation period will not start until they have been declared to a ‘normal’ mental state. Not all consequences of personal injury surface straight away, in some cases people are not aware that they have suffered an injury or illness till sometime after and for this reason there is an exception which means that the time limitation period will not start until the claimant actually became aware of the injury or illness. If the claimant is likely to suffer mental illness for the duration of their life then there is no time limitation and they have the right by law to make a claim at any point for the rest of their lives. We respect that no amount of compensation awarded for an injury can actually compensate for the harm that is caused. However it is only fair that a victim of personal injury/ accident at work should be compensated in some way if they are injured or suffer ill health due to no fault of their own but the negligence of a third party. The law states that a person should be compensated for any injuries or illnesses that are caused by the party at fault and such compensation should be enough to put the claimant back to the position they were in financially before the incident took place. The law strongly states however that compensation is not there so that others can profit from it. Such damages focus on the actual injury that has been caused and how much pain & suffering has or is still being caused. It is very difficult to measure a person’s pain & suffering as each individual deals with it in different ways, people have different pain thresholds. There isn’t a computer or device that can accurately measure the amount of pain a person is feeling when injured so in order to accurately compensate a person law firms use guidance set out by the JSB so that people with similar injuries are awarded similar compensation amounts. These damages very much concentrate on a person’s financial personal circumstances in as much as how they are affected financially as a direct consequence of the incident. It is important to take in to account that the government strongly emphasise that no victim of personal injury should ever profit from a compensation claim, compensation is there so that a claimant of personal injury/accident at work can be put back financially to the position or as much so, as they were in before the incident took place. Work accident compensation is also there not just to cover present and past financial aspects of the claim nor to just compensate for the injury at the time, it is there for any future requirements that the claimant may experience as a result of the initial incident. Any future loss of earnings. Reduction or loss in pension. We are a leading law firm in the field of personal injury and accident at work claims and are held in the highest respect when it comes to the piers we work among and the clients that we represent. Combining the years of practice our staff have decades of experience dealing with accident at work claims. We have a dedicated special department that concentrates all their efforts on gaining people the maximum amount of compensation that they deserve after being injured or made ill due to the negligence of their employer. Injuries or illnesses that are caused due to accident and incidents that happen at a work place can be very serious, many being seriously harmed, which is why we offer those that are injured in the work place a tailor made legal service so that all their needs are met and that they are completely satisfied with the service we provide. Our solicitors are monitored very closely by the Solicitors Regulation Authority SRA, who set guidelines for law firms and solicitors to follow. The Solicitors Regulation Authority have a handbook which they expect the legal community to conduct themselves by, the standards that they set out should be achieved and observed by all members. We also use the SRA in conjunction with the Juridical Studies Board JSB when calculating compensation amounts especially in respect to general damages where they set guidelines to how much a claimant of personal injury should be awarded in terms of compensation. We offer all potential clients the opportunity to have a free and confidential consultation which can either be done in person or over the phone. All information that is supplied to us is done so in complete confidence and will never be shared with a third party. If after the consultation you do not feel that we are the best solicitors to represent your case you are free to move to another solicitor. We provide a free consultation so that you can know from the very beginning the potential of your case and so that you can ask any questions that you may have with the luxury in being able to do so without any cost. As we work on a No Win, No Fee process you will never have to worry or be concerned about the cost to pursue a accident at work compensation case. We offer 100% of all accident at work claimants a conditional fee or as it is also known, a No Win No Fee agreement, therefore we will never take on a case that we do not think has winning merits. We will do our utmost to get you the compensation you deserve at the maximum amount for your accident at work claim so please contact us today.